Every aspect of this campaign helps support TQ PoC because we do not believe it is OK to profit from others’ oppression. This is an 100% grassroots supported project. Please share and support any way you can. To help us print more and maybe even enough to one day print mini-flags, you can also support tise campaign via Fundraizr. Visit and/or support the campaign here. 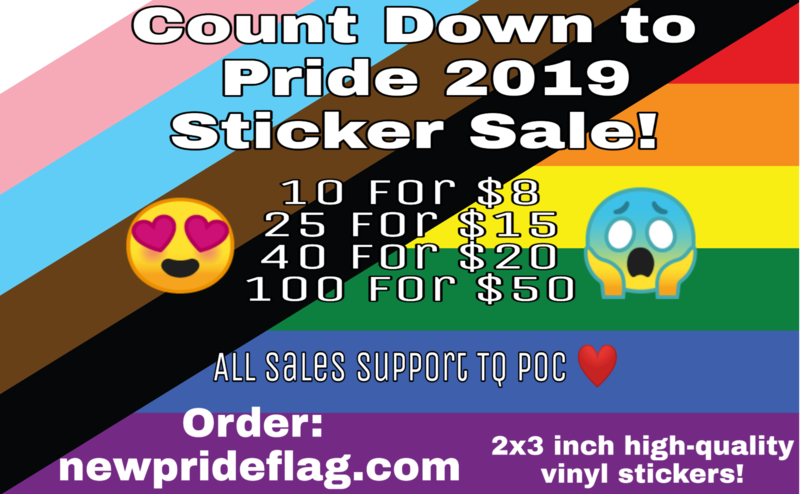 Sales from New Pride Flag merch help support Trans and Queer PoC! 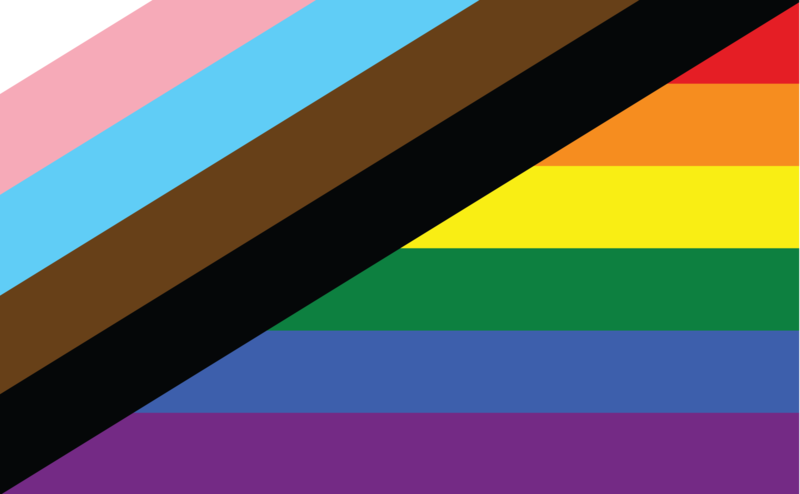 This new pride flag recognizes Pride’s history and the need for the LGBTQ+ movement to center the most vulnerable in our community in order to evolve into a movement truly invested in equality for all. 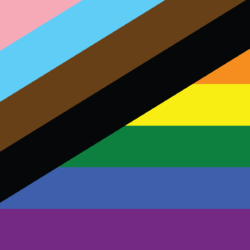 Funds raised will be donated to organizations that support Black and Indigenous Trans People, individual Trans Black women needing emergency support, as well as used towards the creation of other New Pride Flag merch to continue raising funds to help Black and Indigenous TQ folx through direct community support.